With the new year, comes new goals. If you’re like the majority of people, one of your new year resolutions was to get into shape or loose weight. Although we all know this isn’t something that can be achieved in one weekend, a fun fitness filled holiday can be a great way to jump start your fitness goals and maybe even introduce a new hobby to you. Here are 7 fitness holidays to burn some major calories. Krabi is a mecca for rock climbers from beginners to advanced. 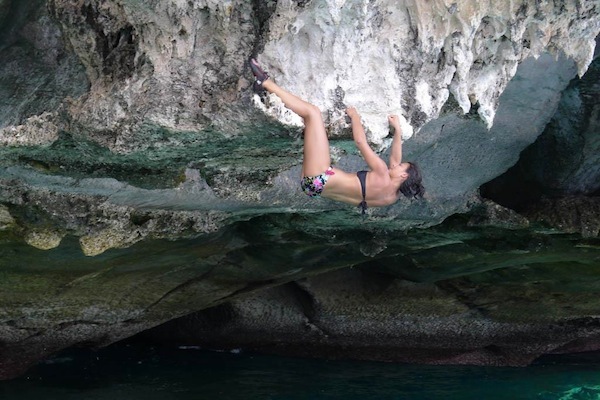 Here you can learn how to rock climb with a half-day up to 3-day course, or try your hand at deep water solo rock climbing, where you climb the face of a limestone cliff that ends when you jump in the ocean. 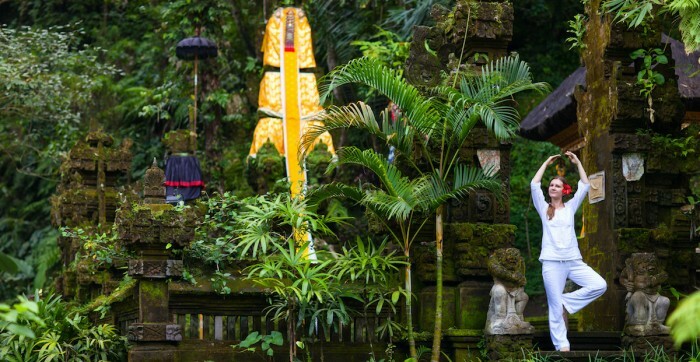 What better way to tone and stretch muscles than with yoga classes in the hills of Bali in Ubud? Choose from one of the many yoga and meditation schools, where you can rejuvenate with a view a rice paddy fields. 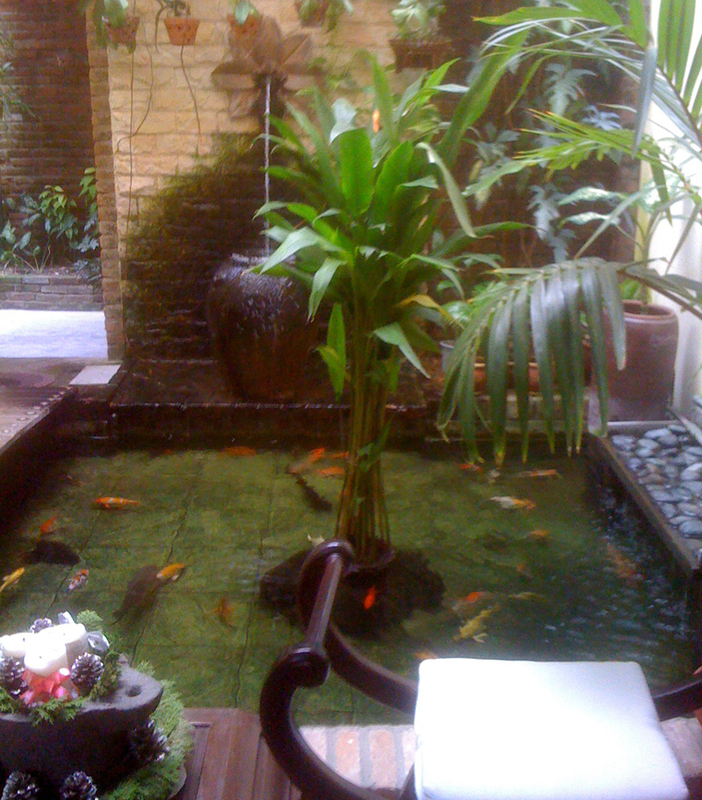 Best of all Ubud is a hub for health food and vegetarian cafés as well as a popular residence for artists. Take a look at The Yoga Barn and One World Retreats for week long yoga retreats. 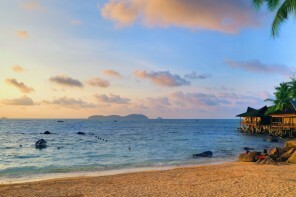 In the southeastern part of Phuket is the fitness focused area of Chalong. 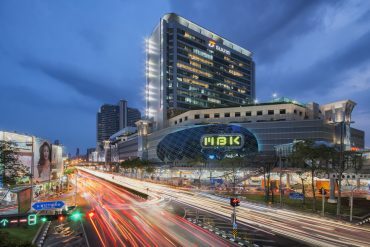 Here you’ll find all kinds of gyms lined along the road Soi Tad-ied as well as cafés selling protein shakes and gluten-free meals. 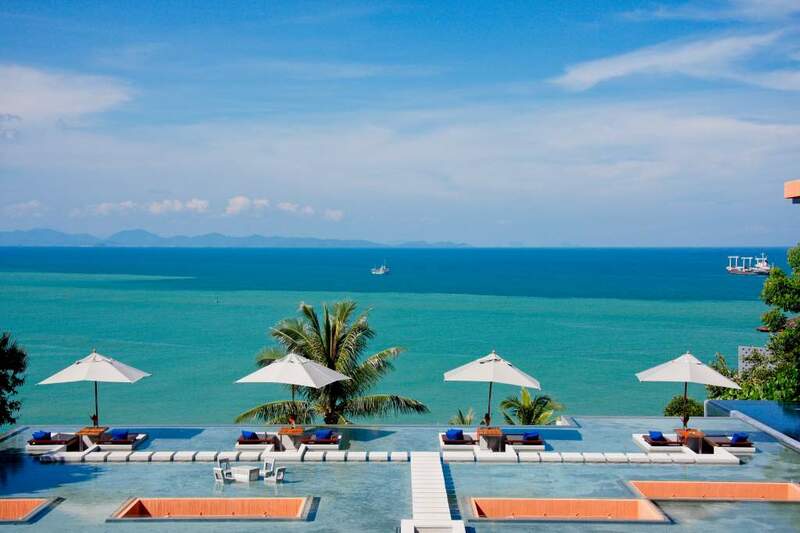 Take advantage of being at a Thai beach destination with Beach Training or Muay Thai Boxing classes. One of the bigger gyms, Titan Fitness, gives you a chance to sweat it out at a Military Assault Course or keep it temperature controlled in a three-storey air-conditioned gym. So you should already be in shape to do this activity, but if you’re looking for a fun way to burn some major calories, climb your way to the top of one of Southeast Asia’s great mountains. 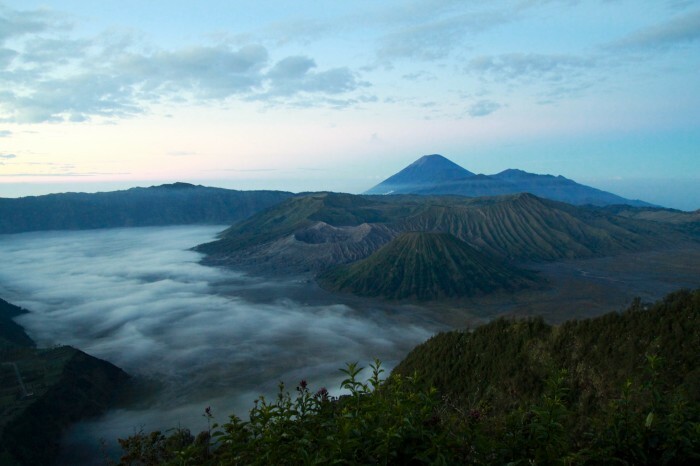 There’s Mount Kinabalu in Malaysia and Mount Bromo and Mount Rinjani, both in Indonesia. Read our full article 3 Mountains in Southeast Asia to Add to Your Must Climb List. 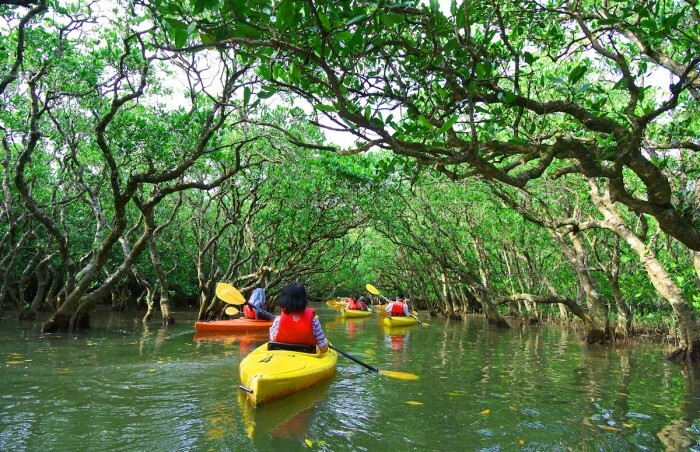 Join a kayaking trip in Langkawi to explore the island’s beautiful mangroves. It’s a chance to get close to the unique flora and fauna while getting some exercise. While you’re in Langkawi, you can burn some extra calories trekking through the rainforest or exploring the underwater scenery. Surfers from all over the world flock to Bali to ride it’s famous waves, but if you’ve never stepped foot on a surf board before, Bali still has something for you. Head to Kuta or Seminyak beach where you’ll find a variety of proper schools, as well as local guys with boards that can teach you the basics for a very good price. You could also head to Canggu for a surf and stay. Read our article on Surf Lessons in Bali. Head to the rustic island of Nusa Lembongan off the coast of Bali to get your PADI open water certification. 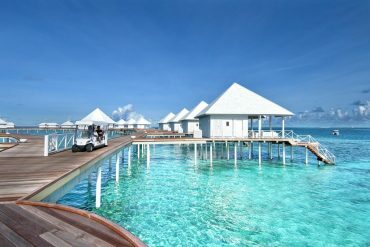 Here you can spend your days under water with manta rays and mola mola if you’re lucky and your nights in a charming hut. 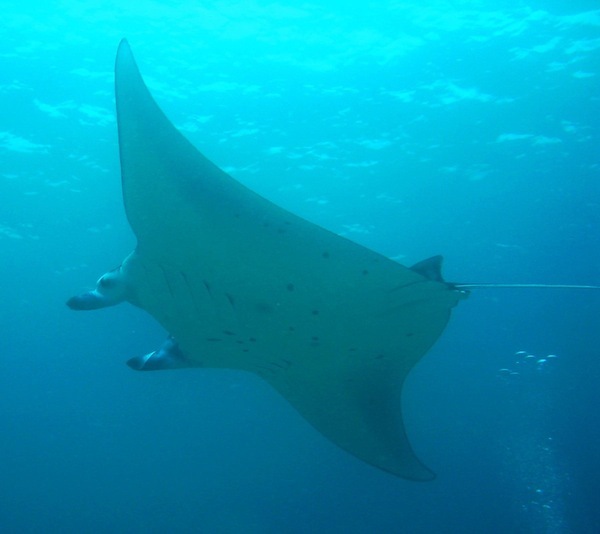 Learn more about diving in Nusa Lembongan. 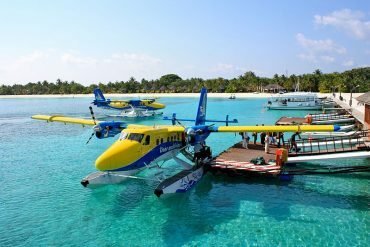 Next articleBelitung Island, Is This Indonesia’s Most Underrated Island?